Pride Law Fund has one goal: to support our fellows. To this end, PLF puts on events throughout the year to raise money and build community. Board members throw house parties, host lectures, organize tours and nature outings, and volunteer at LGBT events across the Bay Area. Everyone is welcome. If you want to put on a PLF fundraiser or join our Board of Directors, please contact us. Pride Law Fund will be holding a call-in for prospective Steel Fellowship applicants on January 4th, 2017 at 12 noon PT. Join Pride Law Fund on July 12, 2015 for our Annual Bay Cruise as we honor Shannon Minter with the Trailblazer Award. Please join Pride Law Fund and the Bay Area Ski Bus for Gay Ski Day at Squaw Valley Resort on Saturday, March 21, 2015. Pride Law Fund volunteers will be staffing the gates at San Francisco Pride to help ensure a safe, fun day at the annual San Francisco Pride Parade! Come say hi! 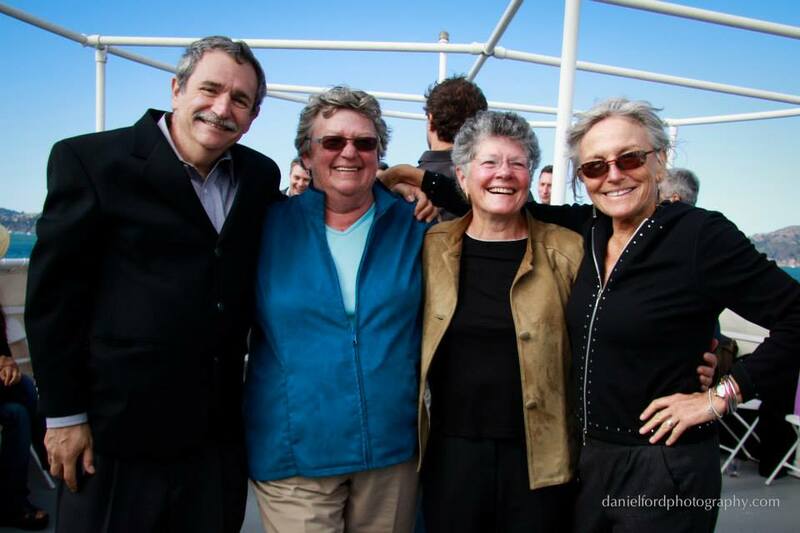 Join Pride Law Fund this Aug. 17th for our annual Bay Cruise on the U.S.S. Potomac! Join Pride Law Fund at the Eagle for a beer bust fundraiser. Good food, good company, and a good cause. $12 includes food and endless beer as we count down to Pride. Join Pride Law Fund, in partnership with the Bay Area Tubing Society, for a day of lazy river rafting down the Russian River (aka, one of the best activities known in the Bay Area). We start at Steelhead Beach and enjoy a lazy journey down the Russian River: drinking, eating, sunning, and socializing in a way that only Bay Area Awesomefolk can do.